Stocks in Asia gained Friday, building on the recent rally in risk assets, amid optimism for progress in U.S.-China trade talks that earlier lifted U.S. equities and Treasury yields. 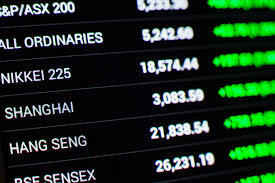 Asia Markets Positive - China US Tensions Easing? CENTRAL DISTRICT, Hong Kong - Jan. 17, 2019 - PRLog -- Shares in Japan, Australia and South Korea rose and futures pointed to gains in Hong Kong. The S&P 500 Index exceeded its 50-day average for the first time since December after the Wall Street Journal reported Treasury Secretary Steven Mnuchin proposed easing China tariffs. While the Treasury denied that reporting, the story reinforced previous signs the administration is more eager for a deal to help support financial markets. The dollar was little changed, while oil continues to trade around $52 a barrel in New York. "Certainly evidence that the administration is approaching a deal would be good news," said David Scwhim, senior economist at Altrice Investment. "We've heard noise around trade policy before though, so I would want to make sure the progress happens and sticks." Meantime, offering some relief from concerns about a worsening outlook for U.S. growth was the Federal Reserve Bank of Philadelphia's factory index, which rebounded in January after three months of declines. Risk assets are posting a strong January amid signs of support from policy makers in the U.S. and China, with global equities heading for a fourth week of gains. Chicago Fed President Charles Evans said the American economy is doing well, but "I think we can easily be patient" in deciding on further interest-rate increases, echoing dovish messages from colleagues in prior weeks. Earlier, the pound climbed to a two-month high after U.K. opposition leader Jeremy Corbyn said that a second referendum remains an option in the Brexit saga. Japan's Topix index rose 0.5 percent as of 9:14 a.m. in Tokyo. Hang Seng futures added 0.4 percent earlier. Australia's S&P/ASX 200 Index gained 0.4 percent. Futures on the S&P 500 were flat. The S&P 500 Index rose 0.8 percent Thursday. The yen was at 109.22 per dollar. The offshore yuan held at 6.7773 per dollar. The Bloomberg Dollar Spot Index was steady. The euro bought $1.1392.The pound was flat at $1.2983. The yield on 10-year Treasuries was at 2.75 percent, up about five basis points this week. Australia's 10-year yield gained three basis points to 2.31 percent. West Texas Intermediate crude rose 0.3 percent to $52.23 a barrel. Gold was flat at $1,291.19 an ounce. "Our ambitions keep us ahead of our competitors, and our research, service and results keep our clients in a position of financial security." To receive more information on opportunities within the US markets or the IPO's of 2019, or to find out more about our services and products, contact us at info@altriceinvestment.com or visit our website – http://www.altriceinvestment.com for further details.